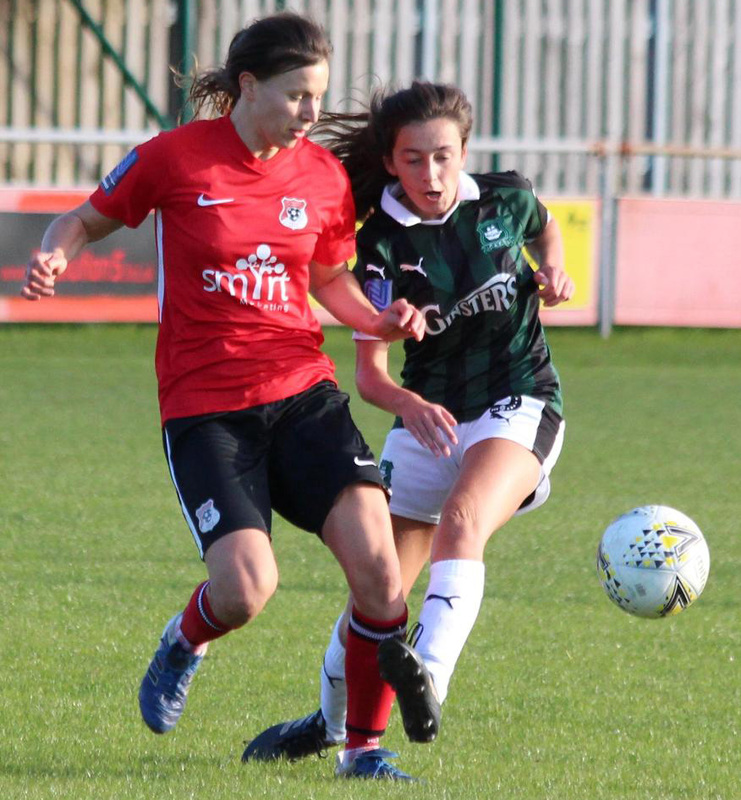 PLYMOUTH Argyle Ladies are without a match this weekend as their scheduled National League Cup opponents, Crawley Wasps, have to play a rearranged FA Cup tie. The break does allow Argyle to take stock of a disappointing few weeks. They started a poor November by going down 4-0 at home to Loughborough in the league. This was followed by a narrow 2-1 defeat at Oxford United. Argyle recovered to beat Marine Academy Plymouth 2-0 in the Devon Senior Cup, but were then humbled 9-1 at Coventry United in the league before returning to Coventry for an FA Cup tie which they narrowly lost 2-1. Argyle did at least prove a point last weekend on their second trip to high-flying Coventry where they battled hard before narrowly losing by a single goal. The League Cup tie with Crawley has now been rearranged for January 6 and Argyle do have the chance to focus on training and give some players a chance to recuperate from niggling injuries. Jessica Jones and Becky Dandridge, who both received knocks at Coventry, were able to train this week, although Becca Wakley is still struggling with an Achilles problem. The other good news is that top striker Natasha Knapman is recovering well in her re rehabilitation. The striker has been sorely missed but she is off to Australia tomorrow and the warm sun and plenty of swimming will help in her recovery. Knapman is due to return to action in the new year. Holders Argyle learned this week that they will be playing Plympton in the semi-final of the Devon Senior Cup. The tie is due to be played on Sunday, February 17. The other tie sees former cup holders Exeter City up against Buckland Athletic. Argyle’s development squad are in action on Sunday when they head to Cornish club St Agnes, who are still finding their feet in the South West League Western Division. Argyle beat them 5-0 in a pre-season friendly before beating them 6-3 in the league. The development team are leading the league table and showed tremendous tenacity in coming back from a 3-0 half-time deficit to force a 3-3 draw with Plympton last week – one of their main challengers for the title. Travelling to Cornwall is Abbi Scurr for the first time this season after recovering from an ankle injury suffered in a pre-season friendly. They can also call on the services of Faye Ivall (pictured top) as the first team are without a fixture. Argyle Development Squad: Lyndsay Rogers. Faye Ivall. Abi Scurr, Rachel Heron, Rachel Javan, Hannah Brock, Alex Hugh, Nicola Champion, Maya Ridge, Vicki Fannon, Becky Parkyn, Kiara Robins, Gabi Alphous, Kelly Vinnicombe, Sally Salter, Jodie Randall.